In general, the broad term “elder abuse” is used to encompass several forms of misconduct directed toward individuals aged 60 or older. Elder abuse is considered to be a serious problem in the United States by the Administration on Aging (AoA) of the U.S. Department of Health & Human Services. The AoA reports that, each year, hundreds of thousands of older persons are abused, neglected and exploited. In most cases, perpetrators of elder abuse were found to be family members of the victim. Exploitation (financial) – Illegal taking, misuse or concealment of funds, property or assets of a vulnerable elder. Neglect – Refusal or failure by those responsible to provide food, shelter, health care or protection to a vulnerable elder. Abandonment – The desertion of a vulnerable elder by anyone who has assumed the responsibility for the care or custody of that person. Abuse against older persons is committed most often by family members. Usually, the perpetrators are the adult children or spouses of the elderly victims. Elder abuse can affect people of all ethnicities, social status and gender. However, men are more often perpetrators, while women are more often victims. Most victims are “vulnerable” adults; those who are unable to care for, or protect themselves due to age and/or disability. Self-neglect is the form of elder abuse that is most often reported to state protection agencies. These symptoms often coincide with declining health, isolation, Alzheimer’s disease or dementia, or drug and alcohol abuse. All states and the District of Columbia have laws, regulations and/or programs that protect and assist the elderly. If elder abuse is suspected, it can typically be reported via a state Adult Protective Services (APS) agency hotline or to law enforcement. 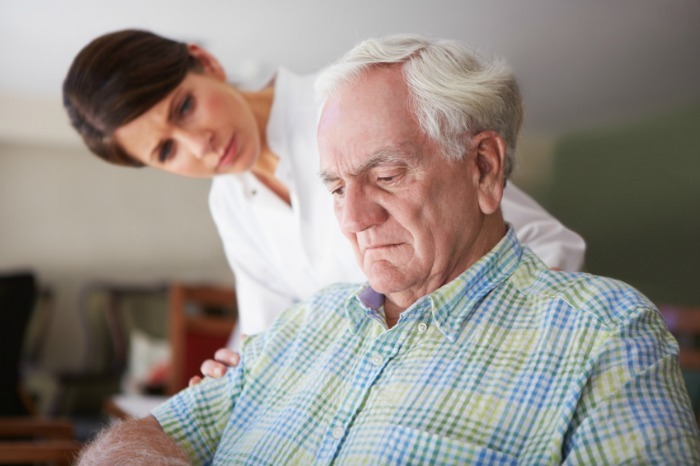 Some states, such as California, require certain individuals, including all employees of long-term care facilities (e.g., nursing homes or adult care centers), to report abuse or suspected abuse. Generally, average citizens are encouraged, but not required to report elder abuse.